As I speed through the doors of The Soho Hotel, a lady with a clipboard gives me a slightly alarmed look; ‘Disney channel?’ she asks. Though tempted to explore where answering in the affirmative may lead me, I tell her I’m not, and ask where the lifts are. She directs me to the right, and after much frantic bashing of the call button, I run into the lift, and press for the fourth floor. You see, I am (regrettably) not here for the Disney Channel. I have much more interesting, albeit less glittery, fish to fry, as I find myself in the miraculous position of being two floors away from an interview with Channel 4 News anchor and master of flamboyant ties, Jon Snow- and in the humiliating position of being late. Snow has a small cameo role in Ralph Fiennes’ directorial debut, an adaptation of the Shakespeare play Coriolanus, and so, here I am, in the smallest room in the world with a handful of other student journalists, all squeezed into a couch and a few chairs, listening to a man I suspect we’ve all, as hopeful journalists, looked up to. As often happens when I get nervous, I end up looking towards the floor, when Snow’s mythical neon pink socks catch my eye. Strangely, there’s something quite comforting about a man in bright pink socks, and so, after apologising for being late, I ask the question on everyone’s lips; how did a broadcast journalist end up in a Hollywood film? audience, iambic pentameter and all, that the exiled Roman general, Coriolanus, is descending upon Rome with the Volscian army. It sounds daft, but when you consider the dominant themes of Coriolanus, Snow’s involvement doesn’t seem so farfetched at all. The film deals with power and conflict, and despite being written centuries ago by old Bill, it is strikingly relevant to the current day. 2011 was a busy year for news- things seemed to be constantly happening, with the riots which spread through England in August, natural disasters, the phone hacking scandal, and the continuing Arab Spring, which saw uprisings across the Middle East. It was a year which showcased in incredible potential of people power, leading many to draw comparisons between scenes in the film and scenes played out on the news recently. When the people of Rome celebrate the exile of the hated Coriolanus in the film, the audience are reminded of familiar scenes of the Libyan people celebrating the death of Colonel Gaddafi on the streets of Tripoli. The film paints a vivid picture of a chaotic and changing world not unlike the one we find ourselves in today. He then began to work with the homeless before getting a job at ITN and becoming the anchor of Channel 4 News in 1989. He now describes his expulsion as ‘the best thing that could have happened to [him]’, adding that he ‘would have ended up a very tedious lawyer’. So, does his own history of student protesting make him empathize with those who have protested against the recent rise in fees and the ongoing education cuts? 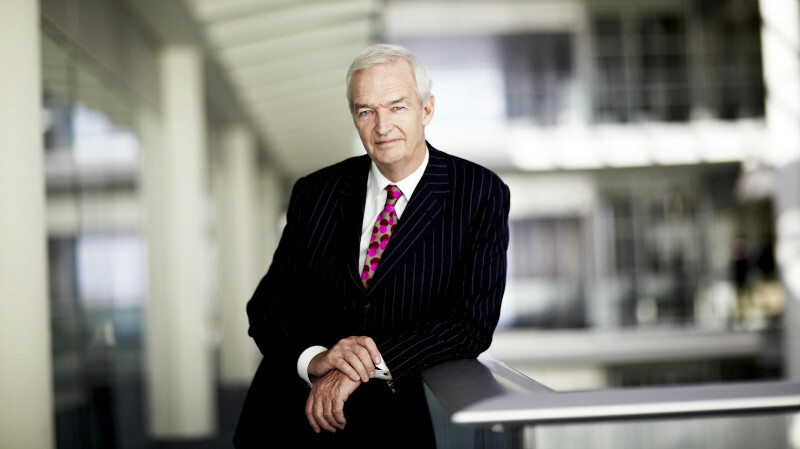 With the current economic, social, and political climate in Britain being less than rosy, and ‘making the world we live in a better place’ being top of the agenda, Snow is prompted to share his ideas on what we can expect from 2012, and explains that this will be a year in which ‘people power’ is once again crucial. Snow’s concerns about the growing influence of technology are also relayed in Coriolanus. The film offers a glimpse into how the culture of technology is changing the face of journalism, with 24-hour rolling news reporting from the front line, bloody corpses filmed on smart phones, and Twitter breaking the news before any other source. Snow adds that the constant acceleration of technology has the potential to be both exciting, and dangerous. As a prolific ‘tweeter’, @jonsnowC4 adds that social media outlets such as Twitter are accelerating ‘both excitingly and dangerously. It’s very easy to get things wrong. A tweet that suggests X has happened, and you find out it hasn’t is tricky. Twitter in many ways is changing very fast. I see it as leading people to water. More than anything, I link people to articles that I’ve seen that I think are good.’ With the way we receive news rapidly changing, Snow describes this as ‘the golden age of information’, with the media having a greater influence on other aspects of daily life. Does he think this leaves public opinion open to influence? As anyone who has seen any of Snow’s cut-throat interviews with Iranian diplomats knows, his main area of interest is the Middle East. Does he find it difficult to remain unbiased despite his enthusiasm? 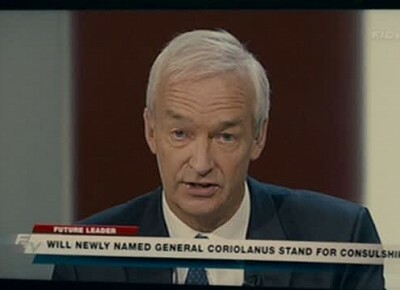 Posted in Arts and tagged coriolanus, film, Interview, Jon Snow. Bookmark the permalink.